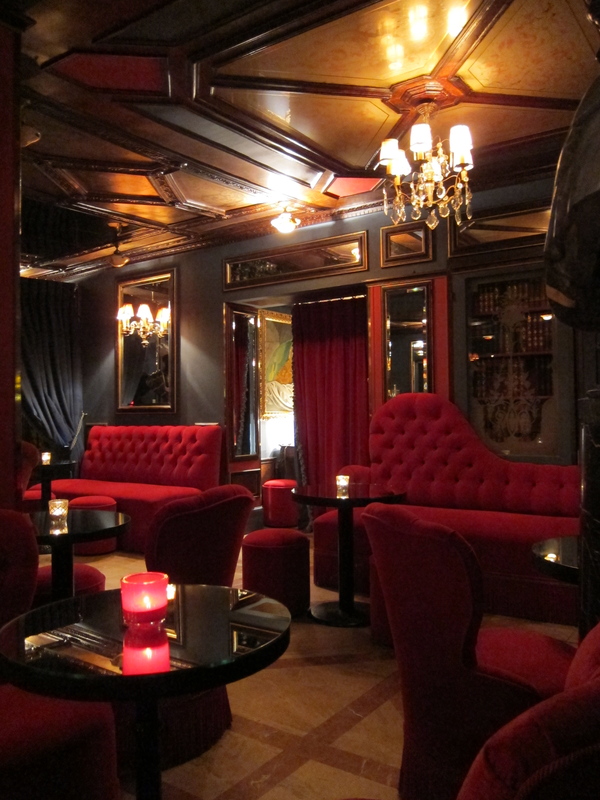 This long-standing Paris institution with its over the top opulence enjoys a racy past. The private restaurant rooms have been – and probably still are – the setting for an illicit tryst or two. Courtesans used to scratch their diamonds on the mirrors to test for authenticity and gentlemen usually arrived via the secret stairway entrance. I’ve always loved the downstairs bar decor and was curious to see what changes came with the recent new bar management of Julien Mairesse. Along with the antique mirrors, the elegance and grandeur remains. Red velvet Chesterfields provide the perfect seating for romantic rendezvous, while candles and dim lamps provide the appropriate mood lighting for current-day coquettes. The dark wood paneling and Persian carpets complete the scene of sophistication. The cocktail selection, however, makes a complete deviation from the classic. Although not on the menu, I ordered a dry martini. 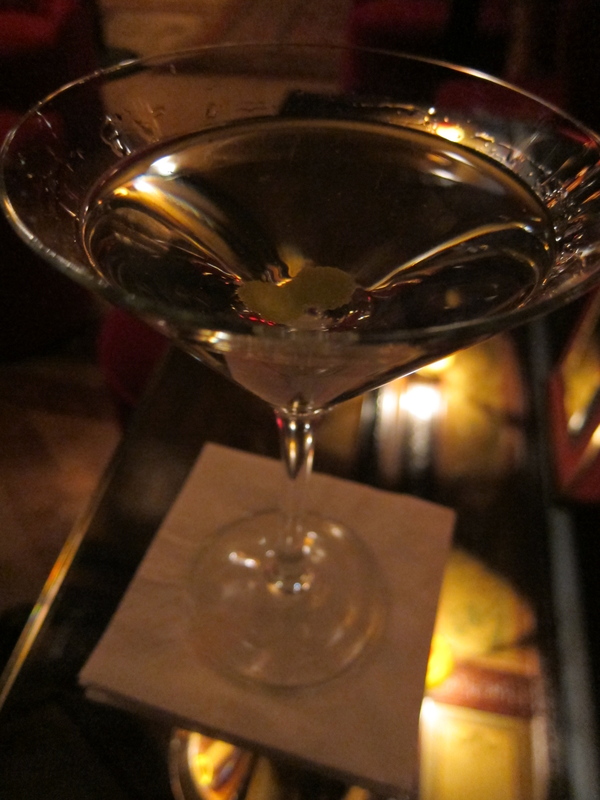 It was a disappointment even in such lovely surroundings: a glass of Martini dry vermouth stirred in Tanqueray rinsed ice. The revamped cocktail menu separates options by spirit and gives each drink a female’s name inline with the spirit. The Gin section features four or so Bombay Sapphire based cocktails with names like Pippa. Under Vodka drinks you’ll find the Aksana, made with Grey Goose and both light and dark crème de cacao. Rhum drinks with monikers like Maria are made with Bacardi. And so forth. After the failed martini attempt, I tried a Marilyn (rye, red vermouth and chartreuse) which was actually made with Dewar’s scotch. Service was acceptable and I did enjoy the truffled mousse feuilletés that came with the drinks. However, at 18 to 20 Euros per drink, on my next visit to enjoy the luxurious lounge, I’ll play it safe with a simple glass of champagne. Very swish decor! Shame about their Martini, as you say it would have been right at home.